Question: Why are “Good Faith Efforts” (GFE’s) part of any OFCCP audit? Here are some solutions that are accepted good faith recruitment effort best practices. Such a plan would describe in detail each action that would serve the company in its achieving its goals for diversity hires, including responsibility and completion dates for the stated goals. Take advantage of company benefits specific to minority hires. For example, while trying to hire females, emphasize the offering of child care facilities. This goes a long way toward proving your GFE’s legitimacy to the OFCCP. If this is written as a stated policy in your A.O.P. as well as documented and practiced the result is usually a check mark on a list and not further investigation by the OFCCP during the audit process. The Department of Labor (OFCCP) is now requesting that you (your company) keep and provide “detailed” information on your recruitment sources. Simply posting on a minority specific web site is not enough, you (your company) must prove that your resources are producing measurable results while at the same time these targeted resources go further than simply placing an employment ad in a place that it can possibly be seen by the targeted group. An example of OFCCP accepted best practices while job posting is the use of community based targeted minority hiring resources. One such example would be Women in Business & Industry when trying to reach into the female talent pool. The reason this is different from posting with the giant job boards is simple, not only have you (your company) shown that you are actively recruiting from within the targeted minority group, you are also specifically reaching into that community through the resources and information made available to that targeted minority community through established and OFCCP-recognized targeted minority recruitment vehicles. Secure web based application that can deliver visual results at anytime. Track and report all of the outreach activities and GFE’s. Allow all HR and diversity stakeholders access to the outreach effort information. Have a secure way to create, store, circulate all reports and policies insuring a company wide understanding of the developed and accepted OFCCP GFE’s. The reason that GFE’s are so important can be simplified as easily as saying that “Good Faith Efforts” are the right thing to do. Also, simply put it is required by the OFCCP. As the OFCCP becomes more and more audit happy, you (your company) will have to show that you do more than simply post your company opportunities. You will have to reach into the various minority talent pools, produce measurable results and document them. You will have to prove that not only you’ve created an AOP that emphasizes and includes GFE’s, but that you (your company) are actively out in the minority community looking for new targeted hires. Companies unable to show proof of GFE’s or that have no plan will be facing what can be severe consequences. These can be financial and have long term effects on your (your company’s) bottom line. The truth is that the financial ramifications are only part of the potential problem. There is also the public or publicity factors that will have an effect on the company; and in today’s online-connected world perception is everything. Lastly but certainly not least is the fact that you will be placing yourself (your company) on the OFCCP audit radar. 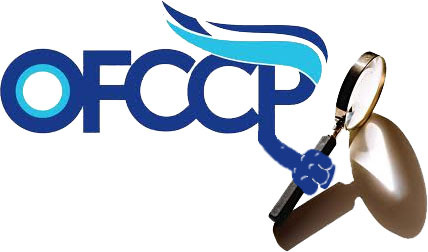 Despite what people are hopeful for the truth is that the OFCCP is again going to increase the number of field audits that they conduct this year. One need only see that the OFCCP has increased the number of field audits each of the last three years. This year the OFCCP has hired more than two thousand new field investigators, so it is safe to say that the number of field audits will increase again this year. An industry insider that I follow closely always says “It’s better to be proactive than have them be punitive”. The single best way to be proactive is to be aware of your options and use the resources that are presented to you. Equality Magazines.com and its family of Community based Diversity and Targeted Minority Recruitment Vehicles have been at the forefront of Best Practices, minority recruitment and compliance. Since 1997 they have been advocates of promoting diversity in America’s workforce; bringing the vast and talented pools of African-American, Hispanic, Veteran, and Female workers to the companies that need them.